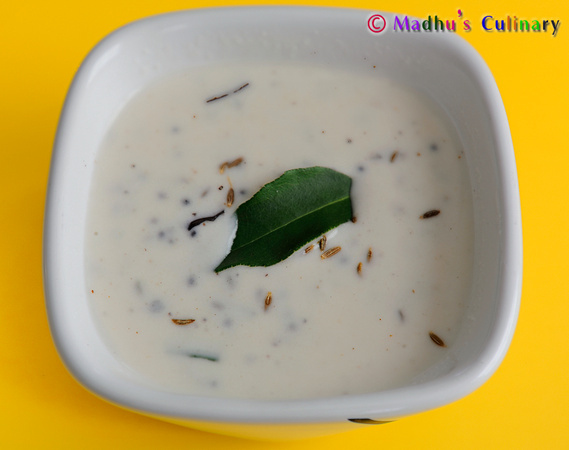 Daangar Pachadi (Urad Dal Pachadi) ->Suvayo Suvai | Simple Vegetarian Recipes, Easy to prepare and healthy to eat! Prev.Recipeஇனிய தீபாவளி நல்வாழ்த்துக்கள் 2010 !!! This is a unique simple recipe from Karnataka which i learnt from my Mom. Moar Milagai (Marinated Chili) – 2 nos [or] to taste. 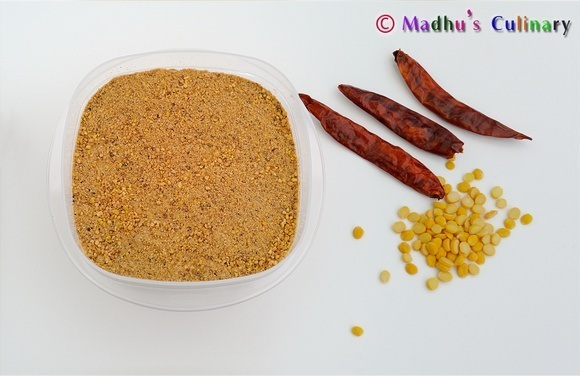 Heat the kadai and dry roast the urad dal (whole) into golden color in the medium flame. Let it cool; make it as powder in the mixie. Fry the Moar Milagai (Marinated Chili) using some oil until golden color, keep it aside. 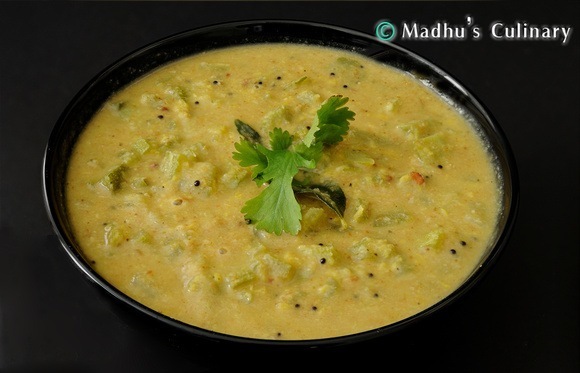 Take the vessel add the urad dal powder, curd, water, salt, cumin seeds, curry, coriander leaves, Moar Milagai /Marinated Chili (crushed) , hing and mix it well. Take a kadai, heat the oil and add mustered seeds. After it splutters, add little hing and pour it in to the pachadi. 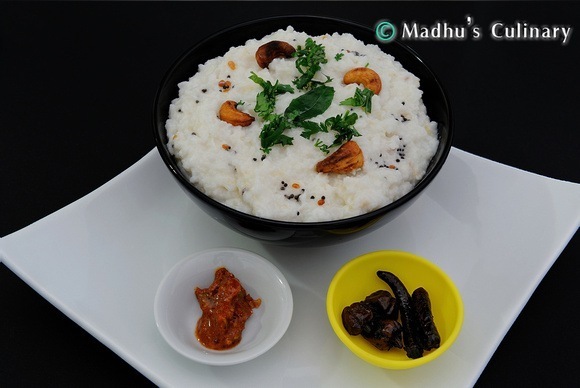 Serve it with as side dish for any variety rice, vethakuzhambu rice, thogayal rice and enjoy the taste. Instead of Moar Milagai (Marinated Chili), you can use green chili (slit) and add it while seasoning. And pour it in to the pachadi. 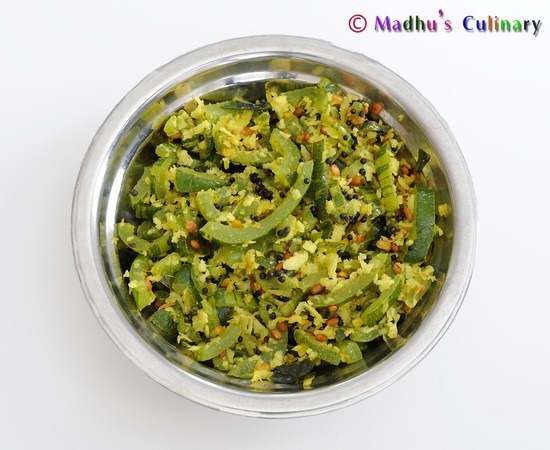 You can also add roasted Okra pieces to the pachadi.